​Our Steamworks robot had a very smooth cycle. The gear grabber was a simple way to intake fuel the same way as gears, by sliding the gear to the back of the robot. There, it would be raised from the ground to be left on the peg. This method caught the eye of the Killer Bees, who chose us for their alliance with the Las Guerrillas, a combo that earned us 10-0 in playoffs, our second State Championship! 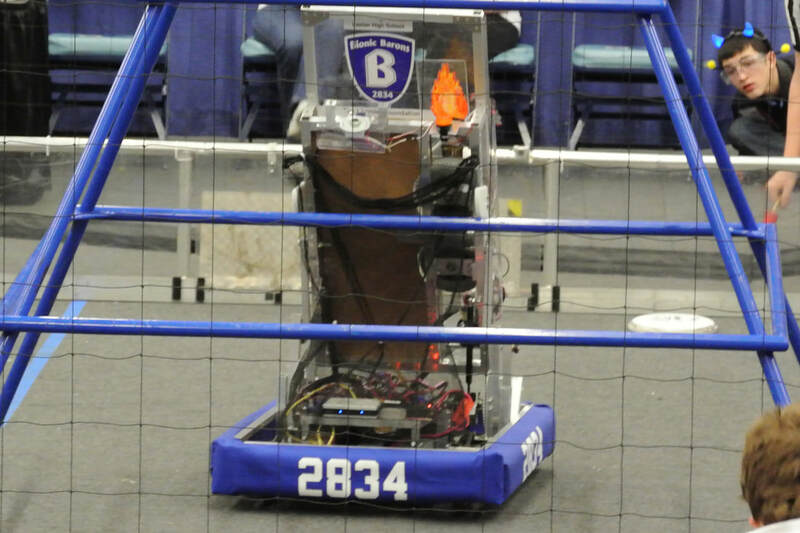 With a very simple concept in mind, our Stronghold robot was low enough to clear the low bar, shot high enough to arc over even the tallest defenders, and an inverted drop center allowed us to take the defenses like they weren’t there. Our winning streak continued with Lakeview and Howell, and we earned the Chairman’s Award at the State Championship for the first time! 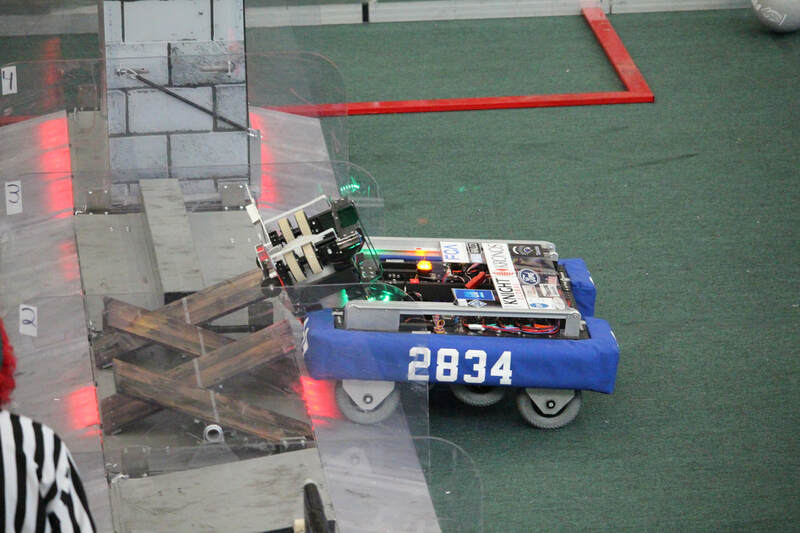 Further, ranked third on Tesla field, we became finalists in our division with the Killer Bees and Argos. ​Recycle Rush was one of our best years yet. A quick cycle and stack topping ability allowed us to pair with any robot. We earned our first District win at Gull Lake, and made it two with our performance at Centerline. The World Championship landed us allied with Spartan Robotics, who added some cheesecake to our robot in the form of a can grabber. Doing so required major sacrifices to our scoring ability, but we still made it to the semifinals. For the first time, the Bionic Barons changed names to match our school mascot, becoming the Bionic Black Hawks. With only one ball at a time per Aerial Assist alliance, several robots would peel for defense on the narrow field. Our role in cycling was to infeed and launch over the truss for a quick 20 points. Our alliance at the Michigan State Championship took us to the semifinals. ​Our approach to Ultimate Ascent called for a shooter that could aim at any goal from the fixed safezone reference of the pyramid. The accuracy of our shooter was also maintained in Autonomous. This accuracy earned us our first Regional event win, at Buckeye Regional. 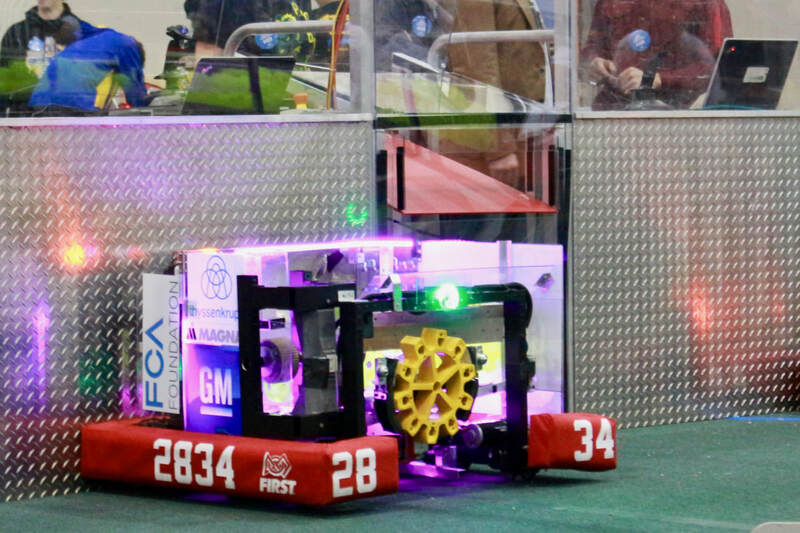 One of our most advanced robots, the machine built for Rebound Rumble had a 360 degree turret, bridge or bump capabilities, and some very solid shooting geometry. This all made to one of our better designed robots. 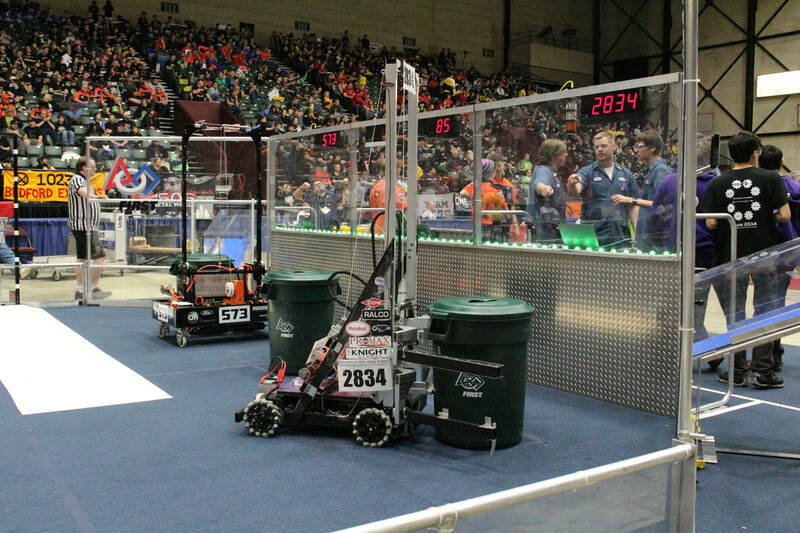 This robot also made its way to IRI for the first time of our team’s history. Our team then had the experience to use more advanced building techniques. The four bar linkage with a 180 degree wrist we used for Logomotion meant for some very quick cycles. After a rough start at the Kettering District Competition, our scoring strategy really took shape. ​Breakaway was a great year for our team. While still quite young, we had the experience to build a robot that brought the attention of NC Gears and Las Guerrillas, who became our alliance partners to win the State Championship! At the birth of the team, with Ed Law as coach of the Bionic Barons, we took about Lunacy with a goal to compete with the top teams in Michigan. 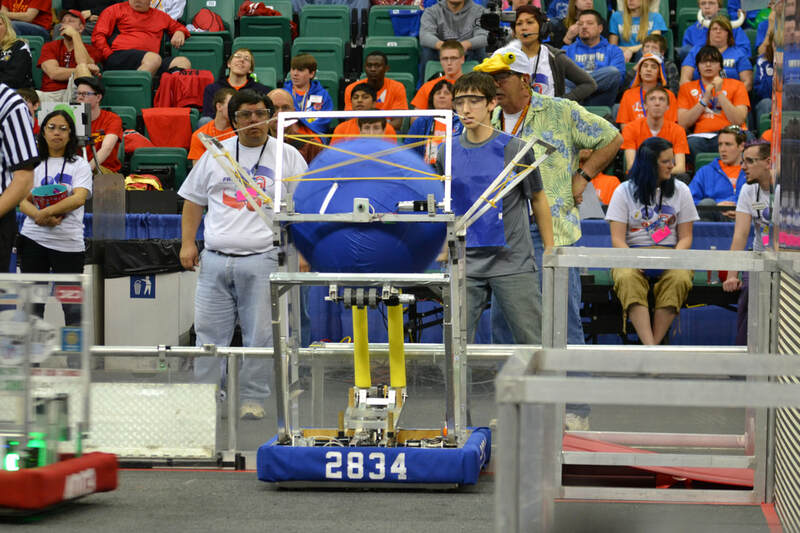 Our design took us far, even earning us the Rookie All Star award at the Michigan State Championship.